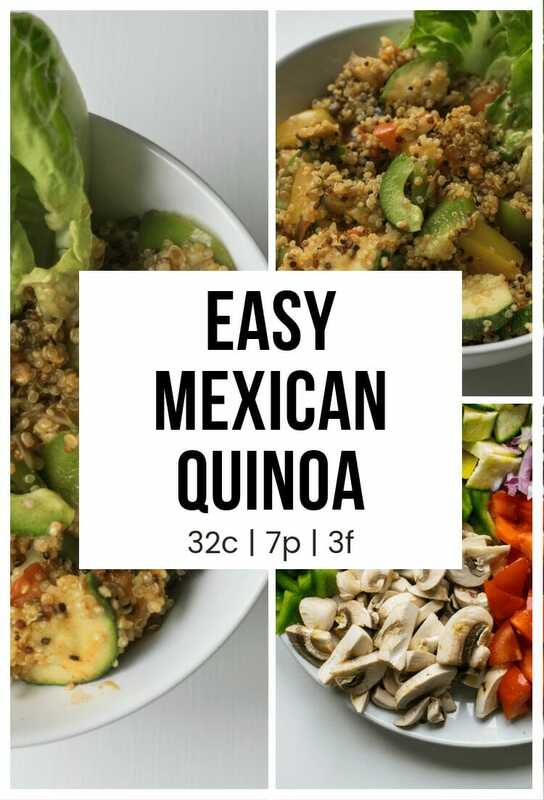 If you’re looking for an easy recipe with plenty of flavors, my Mexican quinoa makes the perfect side dish to any meal or a meal on its own. It’s quick to make and can be stored and reheated throughout the week (also suitable for freezing). The great thing about this recipe is you can use just about any vegetables you have laying around, so it’s great a great way to use up the contents of your fridge. If you wanted a little more protein you could add chicken or tofu, which both work great with this recipe. At only 171 calories per serving, this dish is a great healthy option for a light meal. 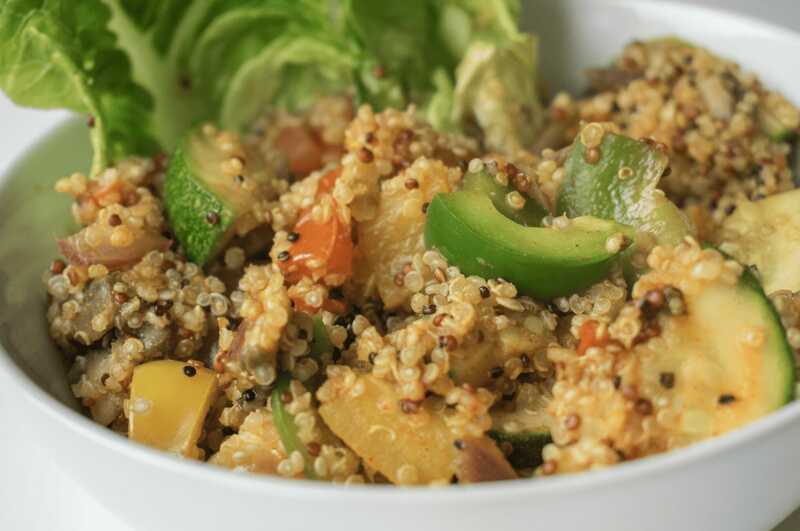 A Vegetable Mexican Quinoa Dish a perfect quick and easy meal or side dish. Rinse quinoa using a fine sieve before cooking. Add quinoa to a pan along with boiling water, covering the quinoa by a 1/2 inch. Bring the pan to boil and allow to simmer until 80% of the water has been absorbed and the quinoa was swollen. Take off the heat, cover with a cloth and set to one side. 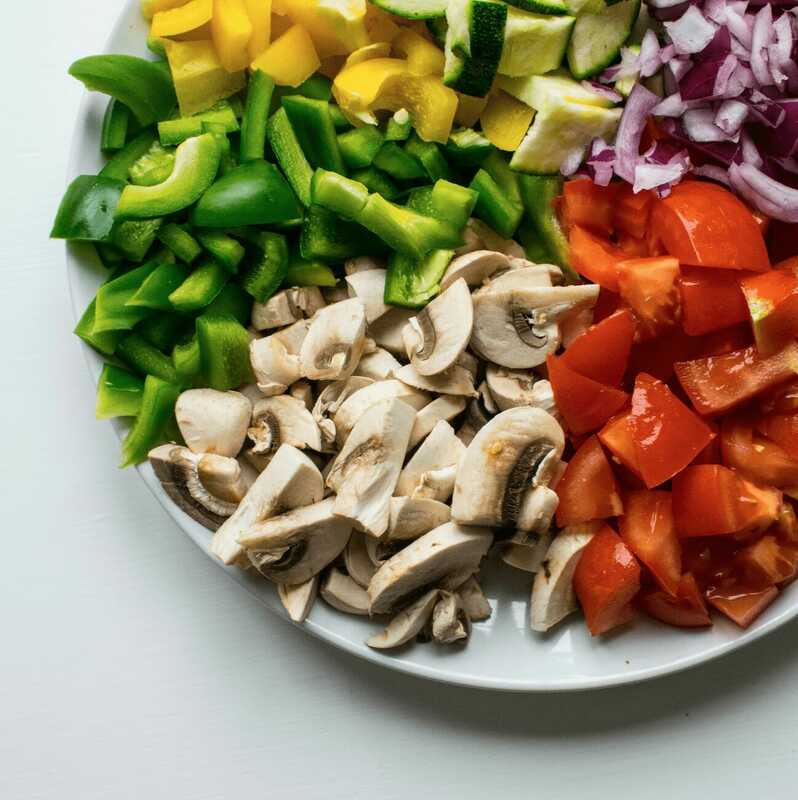 Chop all vegetables and heat some oil in a pan. 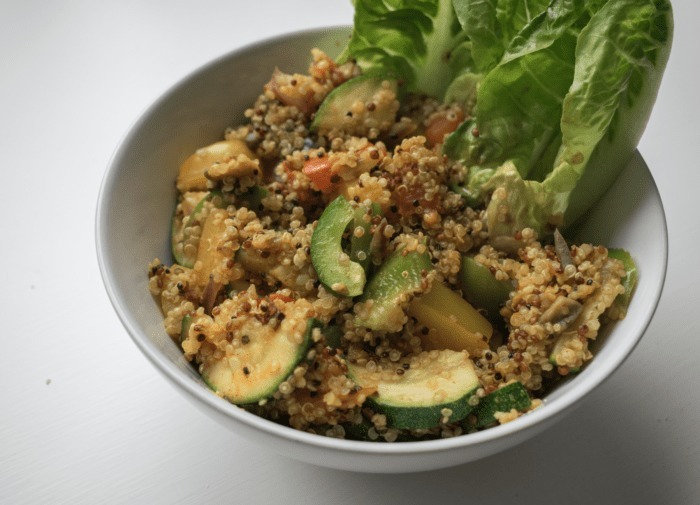 Fry vegetables for approx 5-8 minutes until cooked before mixing in the cooked quinoa. Add the dry seasonings to the pan mixing them in with the quinoa and vegetables. Allow to cook for about 2 minutes.